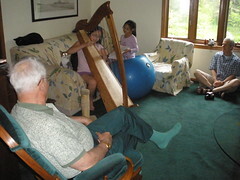 One of the elements of homeschooling for our family is music. Starting at the end of fourth grade, both Sophia and Olivia were/will be given an opportunity to choose an orchestral or band instrument to learn in addition to piano. They both have a strong interest in orchestral music, so it looks like that is what area they’ll choose. 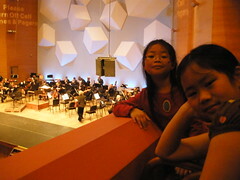 Having an interest in the orchestra most likely stems from attending student performances at the Minnesota Orchestra. the orchestra is warming up. 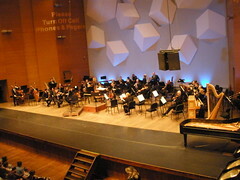 At the Carnival of Animals concert, there were a variety of instruments played – including the harp. This is an instrument that Sophia has become interested in (more information below). but there are other musicians practicing before the performance. Because of Olivia’s vision, we have been able to be seated in either the first or second box seats. This has been such a blessing. Not only can Olivia see the stage, but the girls become even more engaged in the performance since they can see some of the musicians’ faces and expressions, and how they place the instruments. Attending the Percussion Spectacular in October 2009. The girls are 8 and 6 years old in this picture. 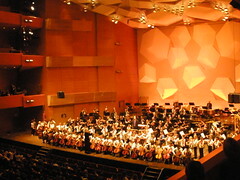 One of the most memorable pieces was played by musicians from the Minnesota Orchestra as well as youth performers. The youth walked down the aisles with their instruments – from the back of the concert hall to the stage. Together, the youth and adults played a piece. Seeing youth perform on stage was quite inspiring for the girls. Another reason why we enjoy going to the Minnesota Orchestra is that they partner with other non-profit organizations to create multi-disciplinary and multi-art performances. 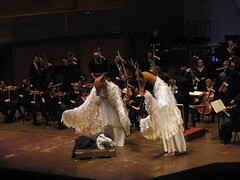 In the December 2010 concert, huge puppets from Heart of the Beast Puppet and Mask Theater joined the orchestra on stage to act out one of the songs. It was a dramatic and moving performance that the girls still vividly remember. Actors and musicians doing a piece from Hansel and Gretel. Sophia and Olivia also have watched orchestral performances on television. 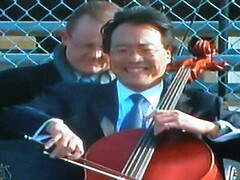 One of the historical performances was done by Yo-Yo Ma at President Obama’s inauguration. The music was beautiful, and his enthusiasm and smile were contagious. What an inspiration! Both Sophia and Olivia were born in China, so it is wonderful when they can see positive, Chinese-American role models (female or male). 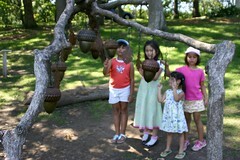 The girls also have had opportunities to play instruments at different museums and parks which has been fun for them. 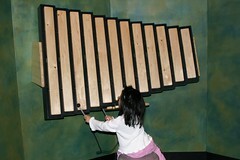 Olivia playing a xylophone at the Minnesota History Center. What is interesting to see is how artists combine music and nature. At the Minnesota Landscape Arboretum many years ago, there was a wonderful summer exhibit that did just that: combined art with nature. Seeing handmade instruments created from everyday objects is another creative and inspiring way that the girls have learned about music. Again, at the Minnesota History Center, there was a display of a variety of percussion instruments made from items commonly found in one’s home. 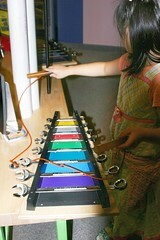 Sophia playing a xylophone made from wrenches. 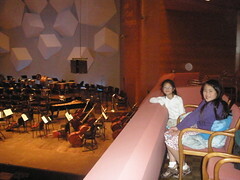 After being introduced to a variety of music and the orchestra, the girls each wanted to take piano lessons. long before she took lessons. 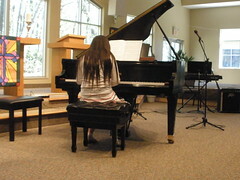 Part of learning how to play the piano is participating in the semi-annual concerts (one at Christmas and one at the end of the homeschool year). 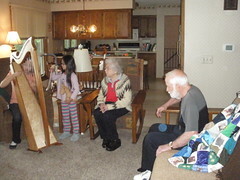 Sophia performed at a nursing home for her first concert at Christmas time in December 2010; and her second concert in May 2011. Sophia at her second concert in May 2011. Once the girls reach the end of fourth grade, I am asking each one to pick an instrument that they want to learn how to play (in addition to the piano). 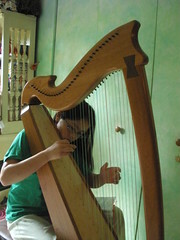 Sophia chose the harp in May 2011. Olivia is interested in the flute and piccolo (on the other end of the spectrum in terms of instrument size). She still has two full schoolyears to decide if this is her true interest. 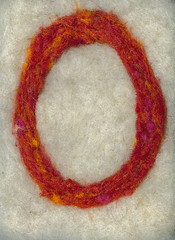 Olivia ran her fingers along the strings. Listening to the harp is relaxing and calming. 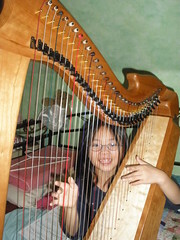 During the summer of fourth grade, Sophia began taking private lessons for harp. She will continue doing this through fifth grade, and then participate in student orchestras in sixth grade. There are both homeschool and public school orchestras. Both orchestras have concerts throughout the year which will give Sophia opportunities to perform publically. 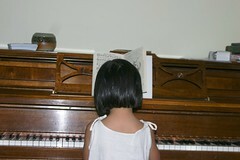 Until then, she shares the gift of music with her grandparents and family. an uncle and aunt, and family. Your posts are always SO interesting! We bought a digital piano with the intention of having the boys (and possibly US) take piano lessons, but have found the cost to be very much out of our budget. We're starting some basic online lessons though. I bet taking them to a symphony concert would have a similar effect as on your girls. I will keep my eyes open for one. They do concerts for kids a few times a year.